Celebrating Norma's Ministry at the Tri-Synodical Gathering! Come and help celebrate Norma's Ministry! 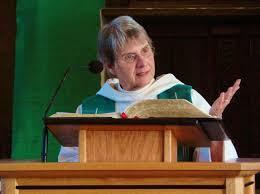 Dr. Norma Cook Everist at this year’s Tri-Synodical Conference. come and share your personal thoughts would be a cherished gift for her. book, 70 Images of Grace, available at a publisher’s discount. fund at WTS as described below. encouraging diversity in the student body of Wartburg Seminary. ethnic backgrounds shall be given first consideration. Tri-Synodical conference and at Norma’s reception.